The beautiful 1950’s Hollywood actress, Tippi Hedren, epitomises elegant style and sophistication. Like Hedren, the Tippi Armchair exudes Hollywood glamour giving any modern interior design a fresh feel. 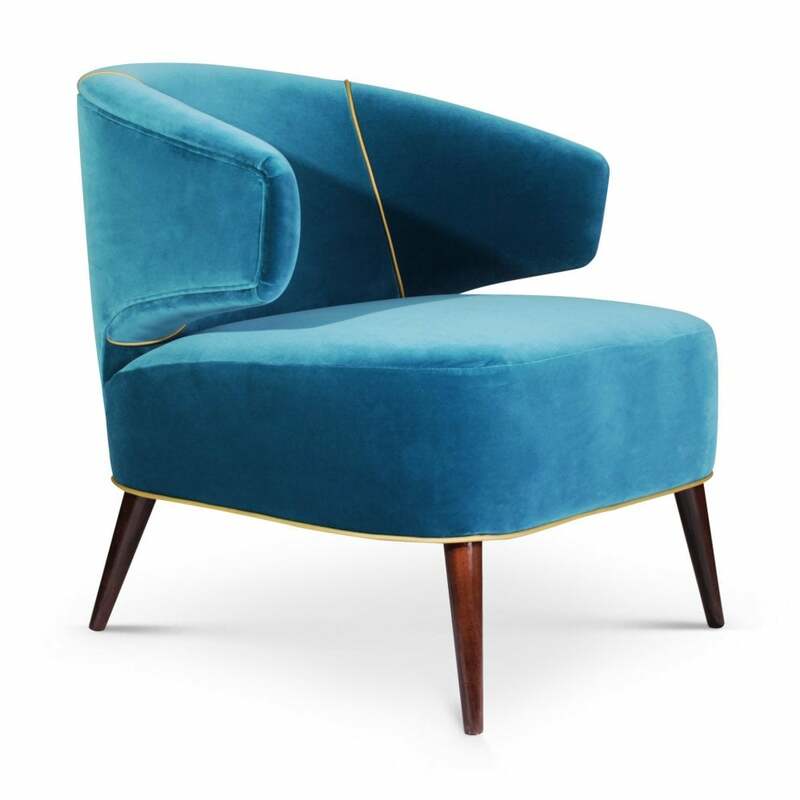 The combination of bright velvet upholstery, glossy walnut legs and golden piping brings a designer look to the mid-century modern style chair. The deep seat and contoured backrest provide maximum comfort. Designed with form and function in mind, the Tippi Armchair looks beautiful paired with art deco accents and dark stained wood furniture. Available in a range of finish options, get in touch with our team for more information.